Ellas Crag017687 78217work Guest HouseEllas Crag is built of Lakeland stone, set on the lower slopes of Causey Pike, The house enjoys commanding views over Newlands Valley, towards Catbells opposite and Skiddaw to the east. Ellas Crag is a 10 minute drive from Keswick centre, just off the road that winds onto Buttermere, Crummock Water and Borrowdale. 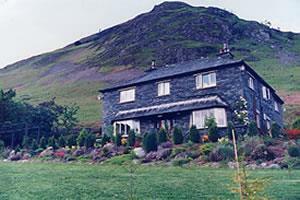 Ellas Crag is perfectly situated for walking, cycling, climbing and touring.